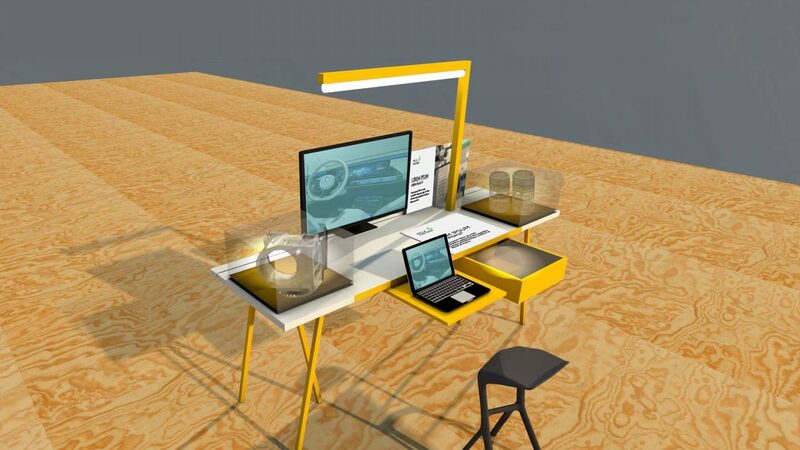 Premiere at Hanover Fair 2018: Milla & Partner developed a new modular and scalable trade fair design for Baden-Württemberg International (bw-i). 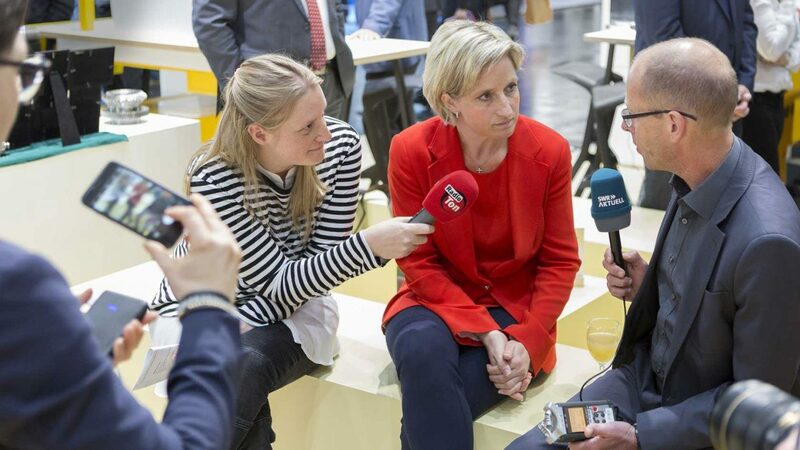 The image of a processor functions as the guiding communicative principle: this symbol for the high level of innovation and international networking in the south-western German state of Baden-Württemberg is transferred to the entire booth and consistently implemented. The dominating element in the center of the stand is a large cube, from which the area is divided into various zones. A large floor graphic marks this area and separates it from the surrounding exhibitors. 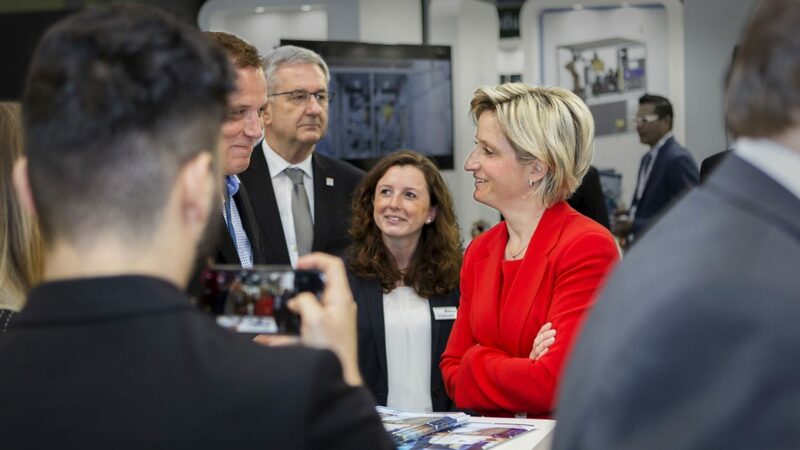 The 28 exhibitors from Baden-Württemberg include medium-sized companies from metal processing and mechanical engineering - but also start-ups, networks and individual regions. New products, developments and pilot projects from the field of industrial supply are presented. 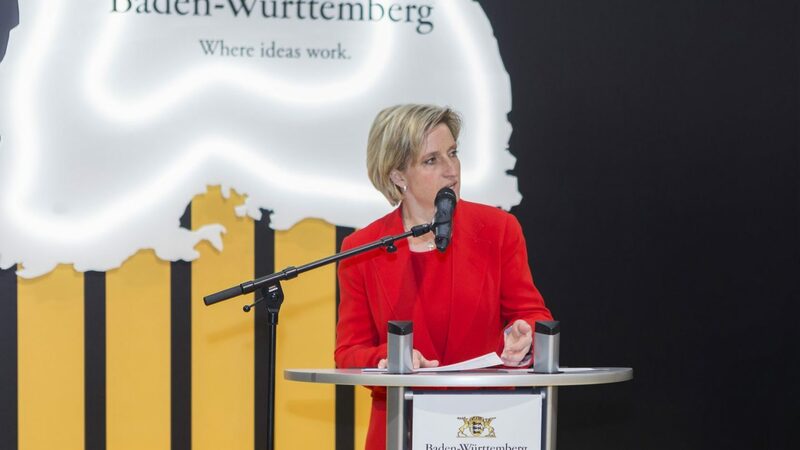 During a formal reception on the stand, Nicole Hoffmeister-Kraut, the Baden-Württemberg Minister of Economic Affairs, took the opportunity to emphasise the diversity and performance of these innovative southern companies.